Rebekah Weikel founded Penny-Ante Editions, a Los Angeles-based publisher of literary works by artists, writers, and musicians. This post is part of Wavelength, a series of guest curated sound art and music mixes. Masha Tupitsyn's Love Dog, which we commissioned at Penny-Ante Editions, was originally published as a series of posts on Tumblr from November 2011 to December 2012. In its online form, Love Dog married diaristic and critical writing while incorporating wide-ranging samples (music, recorded interviews, photographs, films, and texts) as expressions of authorial intent. The project explores "love" and (the) "loss" (of): grief as it unfolds, narrated diaristically. I met someone, it rattled me to the core, and I felt called upon to write about it in some roundabout, uncategorizable way that would still examine all the other social, political, and philosophical issues that I have always been concerned with. Tumblr allowed me to write the kind of interactive, associative, experimental, and discursive criticism that I have always wanted to write and that directly responds to the digital structure that now informs and organizes our lives. Though written linearly, the result veers backward and forward through time, realizing its present and future through careful association, memory, and nostalgia. In 2013, Love Dog was published as a book. Our aim for a print adaptation of the work was to experiment with digital time and form(s); to see if a printed object could encapsulate and extend the immersive qualities of a multi-sensory, multi-media online work. We did this in part by releasing the book in conjunction with other accompaniments, including playlists. This audio piece was mixed in September 2013 between a Fostex Multitracker X-12 four-track and Wavepad. The music, dialogue, and film used in it have a direct relationship to the ideas and themes of the book. Seventeen of the tracks featured are taken directly from the book's playlist and are noted with an asterisk. Below, I've included a few liner notes: reflections, citations, and links. 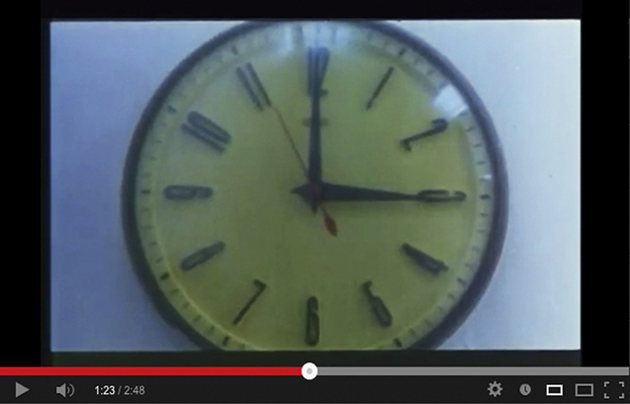 -This clip from Godard's Scénario du film Passion is not in the book. Masha sent me this in an email (and followed with an entry on Tumblr) sometime after the book was completed. We were emailing, discussing our mothers. I lost mine in 2010. Masha emailed, "When you write about your mom and losing her, it makes my heart ache. I can't imagine." For once, I couldn't agree. Masha could imagine, which is what made her heart ache. Godard: "You can invent the sea for your white beach. Like a mother, she waits. You are her child. You can return to her arms. You can tell her everything." -In Part II of Love Dog, we hear from Masha while in Greece. 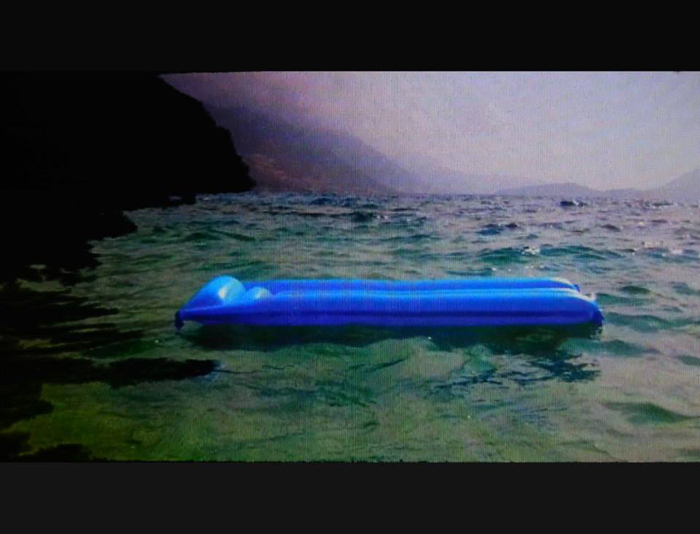 She had posted a photo of a blue blow-up raft floating in the ocean that belonged to her. Though this image didn’t make its way into the book, it’s one that's sat with me. There was something serene about it, but also sad. Lonely. "Speak To Me" is a track with a certain fluidity to it, a backward and forward sway. A floating, felt. -This section includes "Reunion" read by Masha, an essay which appears toward the beginning of the book. I chose to place it toward the end of this mix given its prophetic nature: "Work is destiny; destinal." -I think about the death of my parent(s) and if I would have been drawn to this project in the way I was if they were still alive. -The song "Crossing" echoes the period of five months it took to produce the book after Masha completed her last entry: Endless email threads, many late nights/early mornings. Love Dog was put to page collaboratively, obsessively, entirely through email exchanges. -Roll credits. "Make Love" (cyclical).